NSL Outdoor high power LED tape light delivers 285-Lumens of warm white light at just 4.3-Watts/ft. It has a color temperature of 3000K for superior color rendering. It features up to 50000 hour bulb life. This 4-Inch custom cut tape light is fully dimmable with dimmable power supplies. It provides 120-degree viewing angle for better adjustment of light. It is suitable for aisle and stairway lighting, cabinet and cove lighting, deck and patio lighting, pathway lighting, building facades and outlines, back lighting, showcase lighting and linear decorative lighting. 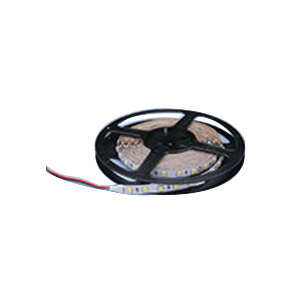 LED tape light is ETL listed.